New Zealand always was a place I wanted to travel to, ever since I first became passionate about the dairy industry. 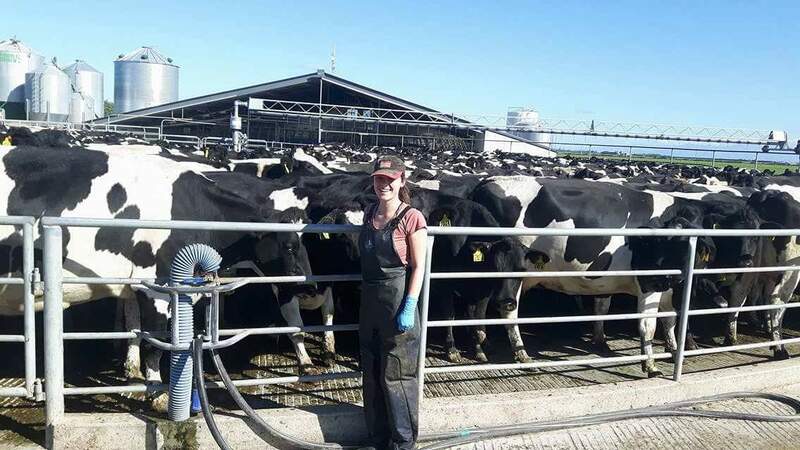 I remember my first time putting clusters on a cow; my father made me an apron out of an old meal bag, I put on huge gloves that my little hands were lost in, and I stood up on a bucket grappling with the milking apparatus. 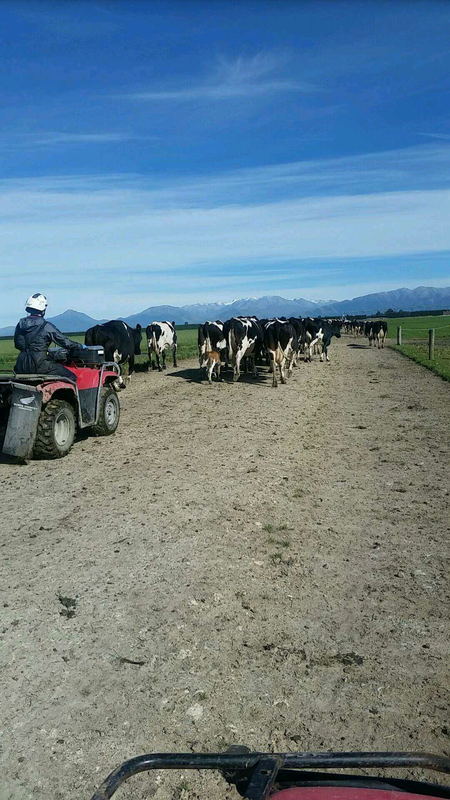 Little did I know that, in 2017, I would be out in Methven, on the South Island in New Zealand, milking 1,400 cows. I grew up on a dairy farm in Clonard – a rural village in Co. Meath. I am currently in my third year studying a BSc in Agricultural Science at Waterford Institute of Technology. As part of this course, 16 weeks of professional work placement must be undertaken, and there is an option to complete it overseas. The idea of travelling to New Zealand was always just a thought in the back of my mind, until this opportunity arose and things really came into view. Even though the placement was only for four months I knew that those four months would be challenging, educational and unforgettable. Home is where the heart is – and that’s what made the decision to travel out to New Zealand that bit more difficult for me, as I am a real home bird who never strayed too far. Even when I go to college, without fail I travel home every weekend. After months of debating, I found myself standing in Dublin Airport on a wet January morning, hoping I had made the right decision. When I landed in Christchurch I was in awe. I couldn’t believe I had finally done it. I was met by the farm owner, Bruce Turpie of Kolmar Dairies, and from there I travelled to the small village of Methven, my home for the next few months. I knew I was no longer in the Emerald Isle. We travelled through the Canterbury plains where there were hectares upon hectares of fresh, green irrigated grass. Kolmar Dairies operates an 80-bail rotary parlour, which is a step up from anything I’ve ever milked in before. Having milked in many different set-ups at home, with the largest being a 16-unit double-up, getting to witness such large cow volumes can only be experienced in few parts of the world. 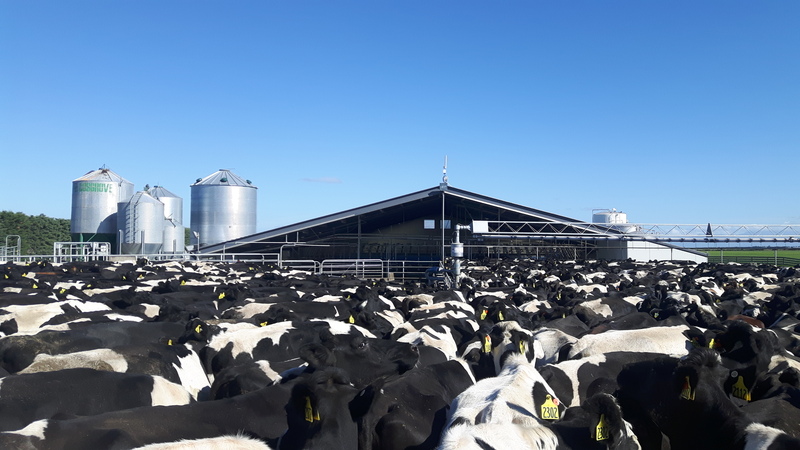 When you are dealing with such high numbers on a daily basis, you improve the most basic skills such as applying cluster that bit faster, identifying mastitis just that bit quicker, along with learning new ways to treat sick cows. I look forward to applying those skills back at home. Farming in Ireland can be very isolated at times, with so many systems being a one or two-man operation. When doing milk relief for local farmers in most situations, I tend to work alone. This is in stark contrast to Kolmar Dairies, where there are ten full-time staff. This has given me a major insight into the role of farm labour, which I believe will be a huge determining factor in the future of Irish agriculture. The full-time staff are from many different parts of the world such as Nepal, Sri Lanka and South Africa. Along with learning a lot about agriculture, I have seen the importance of teamwork in a whole new way. Dealing with language barriers at 4:00am can be both challenging and entertaining, but days like these make the experience all the better. It’s like one big family here at Kolmar. The staff have taken the three other students and myself under their wings, and were there for us when we needed someone to talk to. The hours vary from day to day, depending on the workload. I could be working between six and 14 hours a day. I get paid an hourly rate over here, whereas at home I get paid per milking; for addition farm work it tends to be per hour. In college, you are taught extensively about different methods of farming, but it isn’t until you see these first-hand that you really understand them. Personally, I’m grateful for the opportunity that Waterford IT gives its students – to experience travelling and working abroad, while completing our studies. Working so far away from home can be challenging, as you feel like you might be missing out on certain things – but it will all be waiting for you when you get home. For me, getting the opportunity to travel and work in New Zealand has to be one of the best things I have ever done. My motto is to learn from the bad times, and enjoy the great times. I would encourage anyone who has an interest in agriculture to just do it. No pictures or videos can allow you to really experience this once-in-a-lifetime opportunity, so don’t be afraid. If you get the chance to go, take the leap and just book your flights. This post originally featured on agriland.ie.